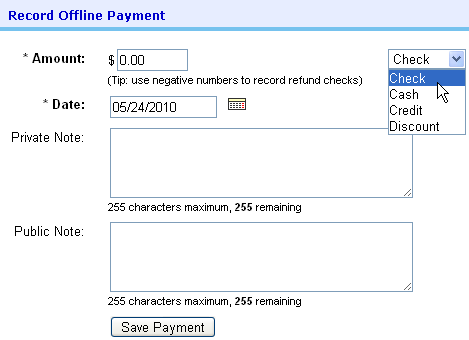 Set the event up for deferred payment processing: Settings → Online Payments → Verify, store and defer until later → Save Event. Attendees enter a credit card when registering to guarantee their registration (it is validated, but not charged). Attendees can pay by alternate means at the event which you enter as an offline payment. Entering an offline payment will zero out the balance and remove the attendee from the payment processing queue when you go to charge credit cards. Note - The option to pay offline is intended for the attendees who may have issues entering their cc or want to pay with cash or check at the event. Offline payment should not be used for the majority of your attendees.